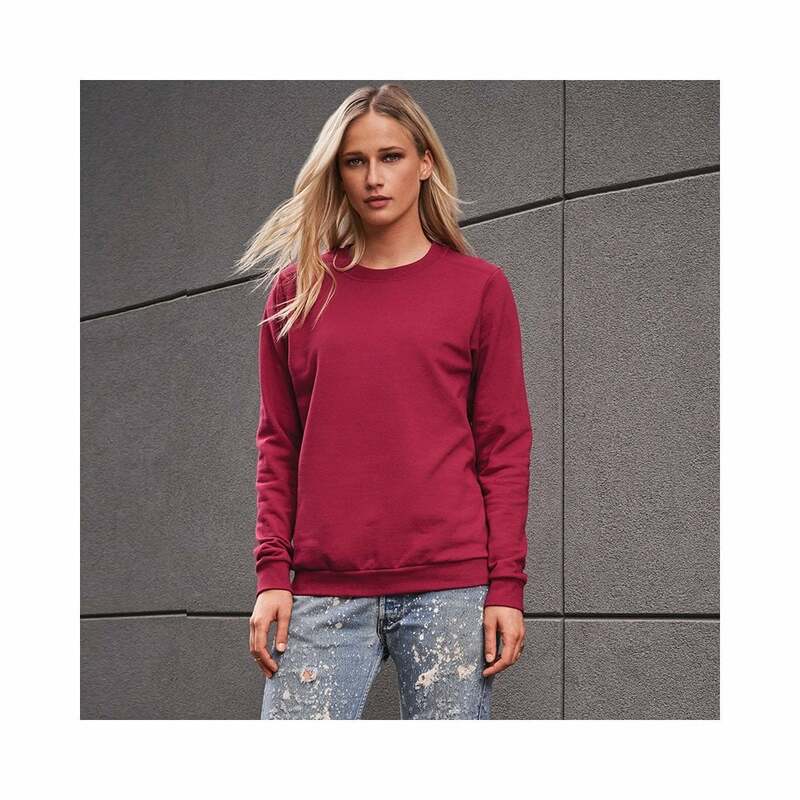 Anvil Women's Set-in-Sweatshirt is bang on trend and popular with younger customers. It is made from 75% cotton and 25% polyester fleece and has a contoured fit, rolled forward shoulder and it has spandex in the rib and hem. 9 bright colours to choose from.